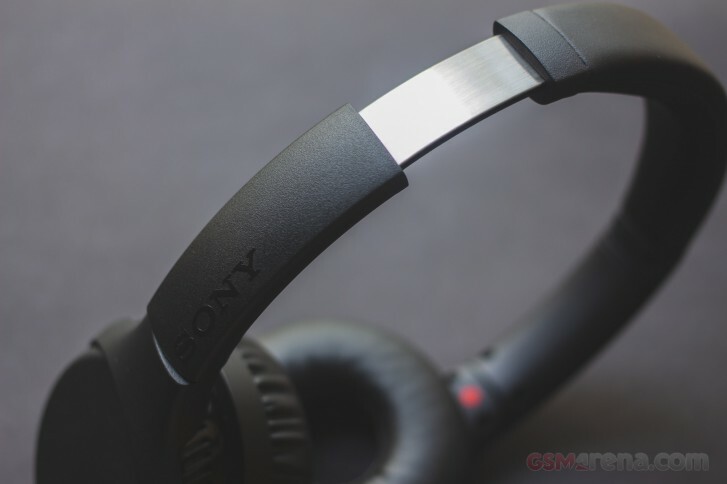 The Sony WH-XB700 wireless is the latest entrant in the company's range of Extra Bass headphones. The XB700 take their place somewhere close to the lower mid-range in the price range and come in at $130. The headphones are made almost entirely out of plastic with a matte, sandblasted finish on the ear cups and headband. While not necessarily cheap-looking, it doesn't really hide the fact that this is an inexpensive pair of headphones. They are also very lightweight due to the plastic construction. The relatively small ear cups have a swiveling design that turns 90-degrees so they can lie flat on your chest while hanging from your neck. The side headbands have a large Sony logo printed on either side and very clearly marked L and R speakers. However, there are no physical indicators apart from the buttons to help you figure out the left speaker from the right in the dark. The headband extends generously and inside you see the only visible piece of metal covering the inner band frame. 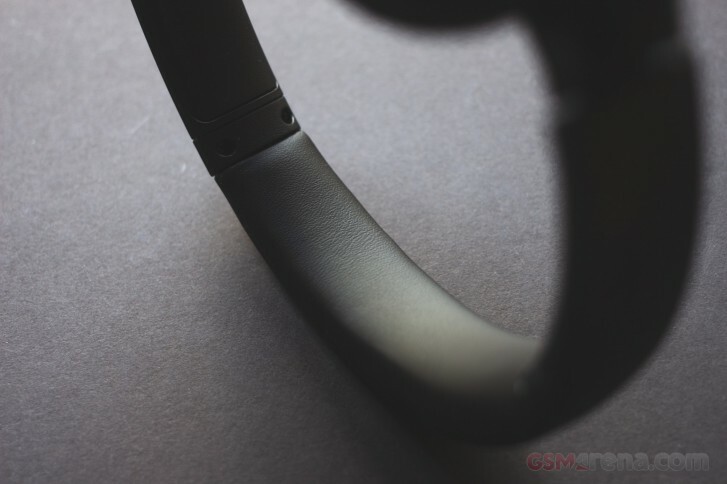 The headband at the top has been covered in soft leatherette material similar to the flagship 1000XM3, although not as dense. Coming back down to the ear cups, the XB700 has a supra-aural design, meaning the ear cups rest on your ears rather than around them. The cushion looks fairly thick but isn't really as dense as more expensive headphones. It's covered in the same leatherette material as the headband. Inside, a fine cloth covers the speaker grille. The controls are fairly simple and well laid out. On the right speaker are the volume buttons that also double up as playback controls. Between them is the play/pause button that also lets you pick up and cancel calls. The other ear cup is a bit busier. There is a 3.5mm jack for plugging in the provided audio cable for listening in wired mode in case your battery runs out. Then there is a USB-C port for connecting the charger. Next to that is the power button and lastly, a button to invoke the voice assistant (you can choose between your phone's default assistant, Google Assistant or Alexa). The XB700 come in two colors, black and blue. 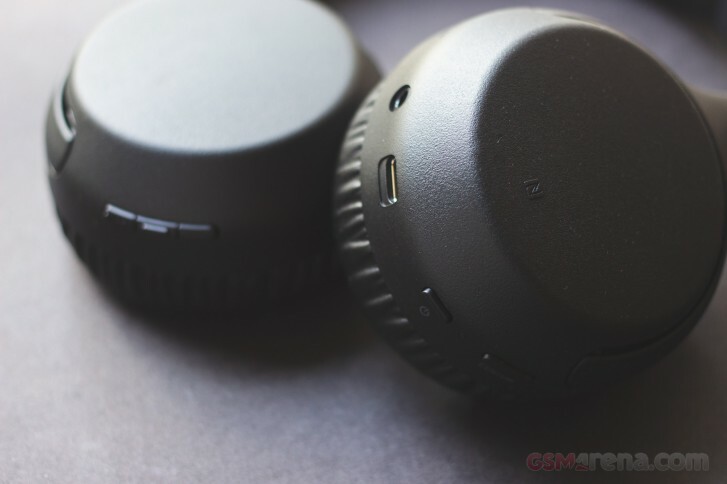 Both have matte finish, except on the speaker grille placed on top of the ear cups, where it's glossy. The blue model uses a brighter shade of blue for the glossy bits and the Sony logos, which gives it a more two-tone appearance compared to the monotonous black variant. The pairing process with the headphones is fairly simple. You can either press and hold down the power button to enter pairing mode or use NFC to pair your Android phone. 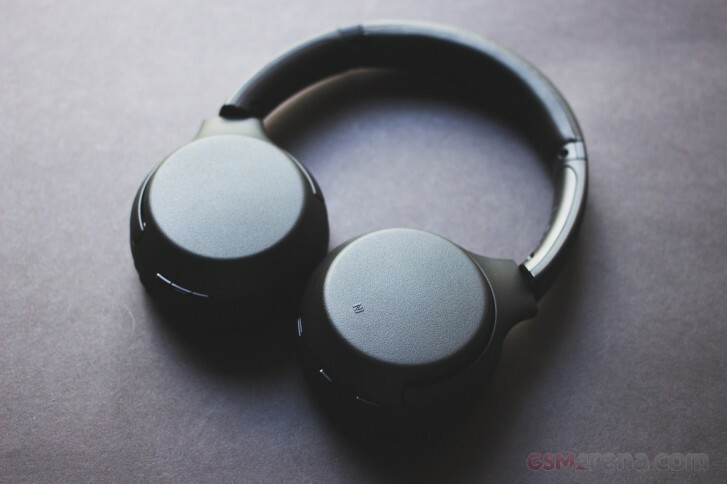 The XB700 work with the same Sony Headphones Connect app that works with Sony's other wireless headphones. Here you can see your remaining battery, what audio codec it is using, update the firmware, and adjust a bunch of audio features. The sound features include various surround effects, such as arena, club, outdoor stage and concert hall. You can also adjust the bass level and also the position of the sound around your head. The exact purpose of the latter has always deluded me but it's a cool effect nonetheless. There's also DSEE, which is Sony's upsampling feature for improving the sound of compressed audio files but either I don't have sufficiently compressed files or the feature doesn't do much because it's impossible to tell the difference between it being on or off. The major problem with these effects, as I have enumerated in my previous Sony wireless headphone review, is that they only work if you choose SBC as your codec. If you choose any of the higher quality codecs, which in case of the XB700 is aptX, then all the features get disabled (except DSEE, which doesn't do much, anyway). This makes them somewhat pointless and I'm not really sure why Sony can't or won't make them work outside of SBC. Finally, moving on to the performance, the XB700 deliver what they say on the tin. If you enjoy overly exuberant bass, these really are the headphones for you. However, in the past, Extra Bass headphones were rather disappointing. Sony would tend to turn the bass up till it broke the dial, which resulted in a horribly bloated sound where it was hard to hear anything but the bass. With the XB700, there seems to be an attempt at some semblance of a balanced sound apart from the advertised extra bass. The bass itself is plentiful. However, it has been dialed in more judiciously and doesn't feel bloated or overpowering. It's still excessive but since that seems to be the main feature it's hard to knock it down for that. The bass boost is mostly focused around the mid-bass area and the deeper notes aren't as exaggerated, which is understandable as those are the hardest to produce and require much larger drivers and amplification. But with the mid-bass bumped up, the XB700 adds an extra kick to every track, with bass-heavy genres like hip-hop, rap and rock getting that extra bit of energy. The effect of this can be hit or miss but it does hit more often than miss. In case you do find the bass a bit overpowering, you can use the app to bring things down a notch. But as mentioned before, this does mean switching to the basic SBC codec. As for the rest of the sound spectrum, the mids just aren't there. Sony claims the bass doesn't overpower the mids but the mids weren't good enough to begin with. Even when you use the app and bring down the bass, the mids are still hard to hear and you have to increase the volume to hear them better. The XB700 has a V-shaped sound signature, which means while the mids are recessed, the highs, like the bass, are boosted. Here, again, things aren't too aggressive and while the upper-mids and lower-highs are a bit hot, it does sound nice and fakes the impression of having extra detail and clarity in the sound. The upper highs do get a bit sibilant at times and oddly enough, they get even more sibilant if you reduce the bass through the app. 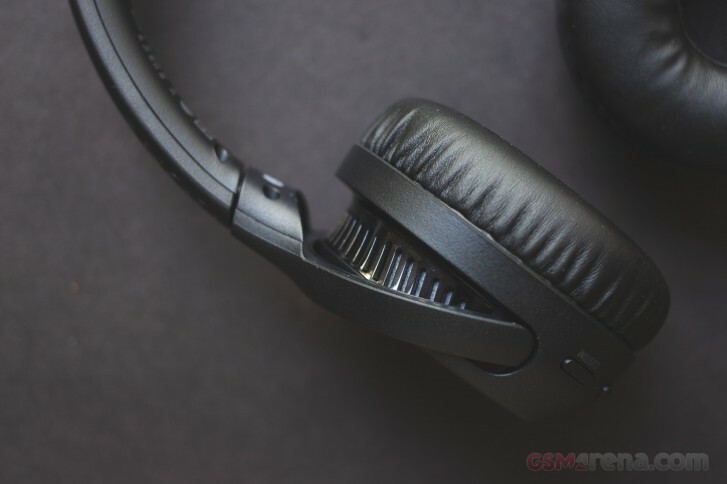 As for the rest of the sound, the headphones have decent imaging, although the soundstage isn't very wide and seems restricted to the size of your head. Of course, since this is a headset, one also has to mention the microphone. Unfortunately, microphone performance wasn't great. Notwithstanding the general mediocre microphone audio quality over the archaic Bluetooth headset audio profile, people on the other side of the call also found it often hard to hear me unless I spoke rather loudly. And this was indoors in a quiet room. Outdoors, you may as well just pickup the call on your phone itself. Unfortunately, while that is disappointing, the major sticking point for me is not really related to the sound at all. It's more to do with the design, or more specifically, the comfort. 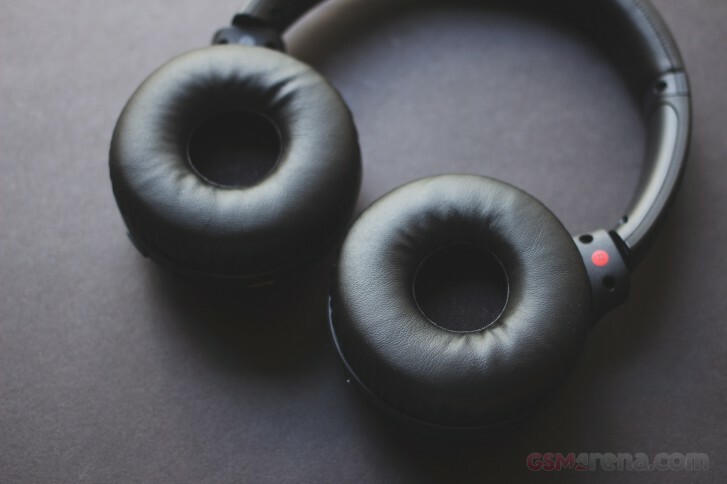 The XB700 are woefully uncomfortable headphones to wear. I generally dislike supra-aural headphones because they tend to press down hard on my ears and the XB700 are no exception. It takes about ten minutes before I start noticing discomfort in one of my ears, which over time keeps rising until about 30 minutes or so later I have to remove the headphones to prevent further discomfort. There have been times where they were simply too painful to keep wearing and my ears hurt long after they were removed. Understandably, everyone will have different ears and tolerance for pain and some might not find an issue with the design at all. But if you are someone who, like me, has experience with discomfort with supra-aural style of headphones then you know to avoid this one. In a small twist of irony, the XB700 are some of the longest lasting headphones I've used. Sony claims a battery life of 30 hours and while I didn't put it to test, the headphones did seemingly last forever on the 70% charge they came with out of the box. I have no doubt they will manage to reach that 30 hour figure if one were to put it to test. The XB700 also, thankfully, charge over USB-C. Sony includes a cable in the box but at 20cm long it feels rather useless. The headphones do have a fast charging feature, where they can provide 90 minutes of usage after just 10 minutes of charge. A full charge, however, takes a lengthy 4 hours. In conclusion, the XB700 do perform their duty of being extra bass headphones. The sound quality, while not ideal due to the repressed mids, is more than just bass this time around and can be quite fun with some genres. The headphones also have excellent battery life and the $130 price tag isn't too steep, either. Unfortunately, the deal breaker for me is the design, which is just not comfortable at all. It was difficult for me to listen to these for more than half an hour at a time without an equally long break in between. While this may not be the case for everyone, supra-aural headphones are generally not as comfortable as circumaural headphones so it's more that I'm the rule here rather than the exception. Also, the sound quality really isn't worth the pain. Not that any headphones are worth hurting your ears. Overall, it's hard to recommend something you can't wear for too long without hurting yourself. I would suggest you try these out extensively in a store before purchasing or just go with something else entirely.